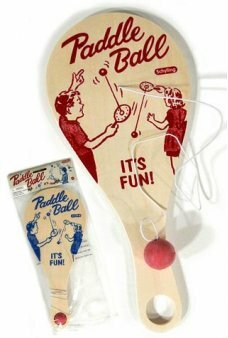 Buy Clackers Toys, Knockers, Click Clacks & Vintage Paddle Ball at TinToyArcade.com - These 1970's toys are available again! 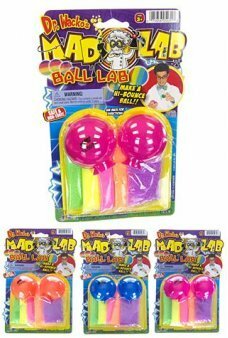 Remember the classic Shooting Star ball with shiny colorful tail? 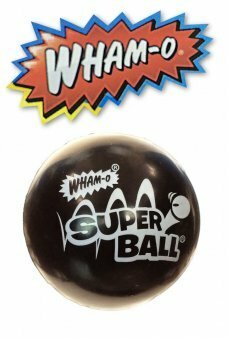 Our retro UFO ball features a 1.5 inch rainbow rubber .. I pledge allegiance to the flag... Show your patriotism and your Yo Yo skills with our USA Flag Yoyo! 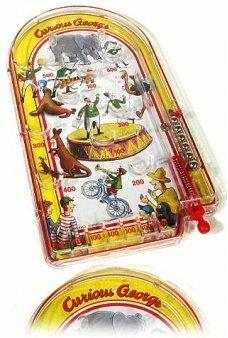 Our high quality t..
A Curious George at the Circus themed classic tin pinball game! 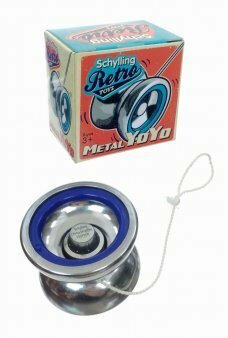 Just pull the launcher and score with the silver pinbal..
Our Shiny Silver Steel YoYo does all the classic tricks with retro style! 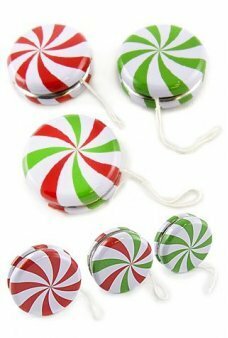 Our high quality solid steel yo yo featu.. 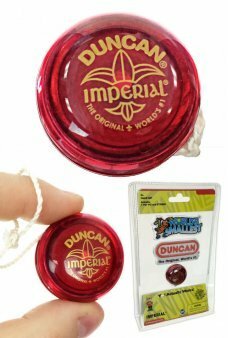 The World's Smallest YoYo is a cute mini Duncan Imperial Yo-Yo. 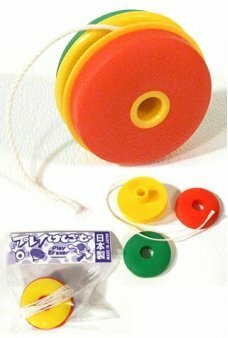 Yes, this is a real working toy Yo-Yo! 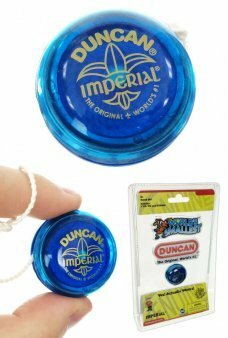 Perfo..
Everyone loves a Duncan Yo-Yo. 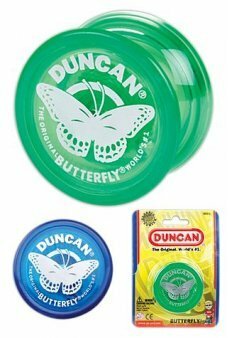 The Duncan Buttterfly Yo-Yo is a the original 1950s American yo-yo! 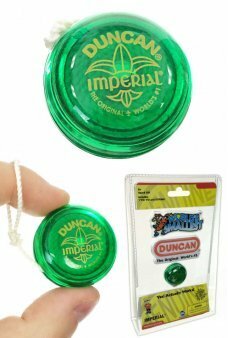 Duncan i..
Everyone loves a Duncan Yo-Yo. 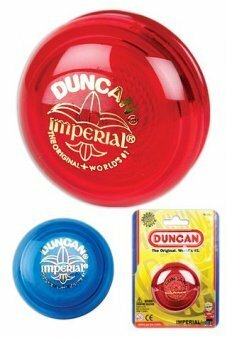 The Duncan Imperial is the world’s best selling yo-yo, invented in 1929. The ..
Our Stainless Steel YoYo does all the classic tricks with style! 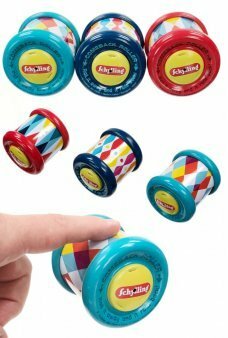 It’s cool to the touch for hot Yo-Yo action. 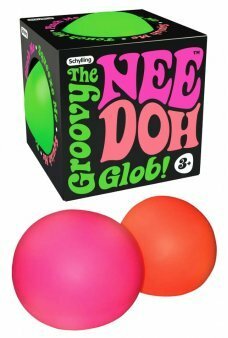 Our high q..
Nee Doh is the original groovy stress ball will help you mellow out! 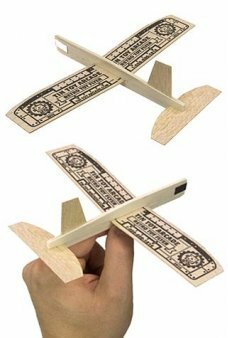 Just knead Nee-Doh, the soft and clean glob st..
Buy a set of 10 classic balsa wood airplanes for your party or fleet. 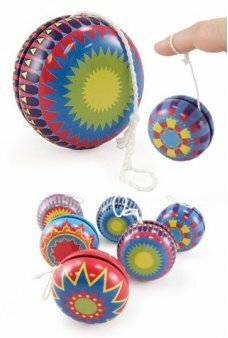 Each Retro Flyer Balsa Plane glides and does loops..
Our beautiful Tin Toy YoYo does all the classic tricks with a smile! 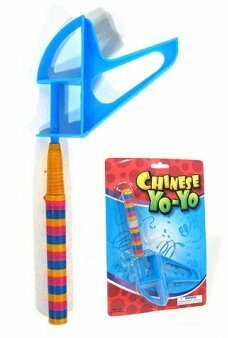 The vintage toy yo yo features colorful old fashion.. 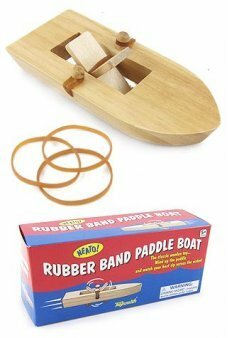 Play our challenging Deluxe Wood Cup and Ball Game! 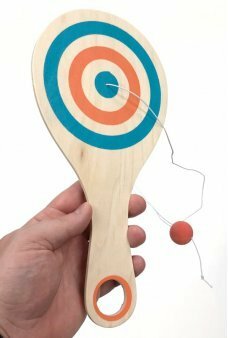 Just toss and catch the red wooden ball in the high quality wooden c.. 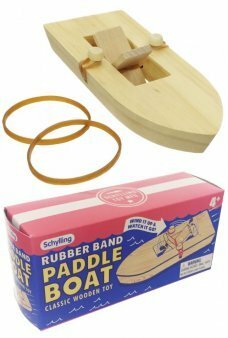 Play the challenging Wood Paddle Catch ‘n’ Score game! Toss and catch the red rubber ball in 1 of the 5 scoring holes on.. 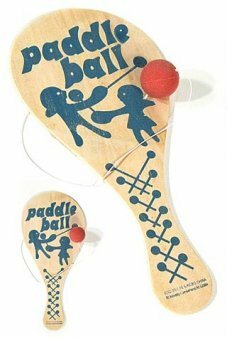 Play the challenging Wood Catch Ball Game! 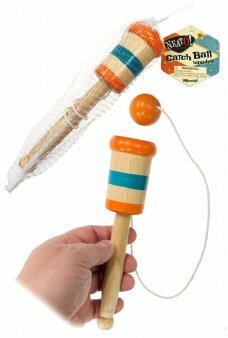 Just toss and catch the orange or red wooden ball in the wooden cup. How many..